Newness and Goodness at the shop! 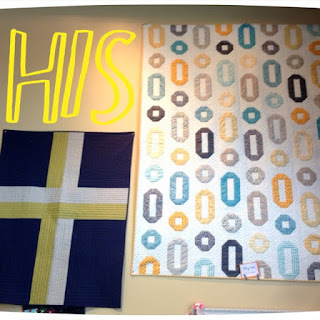 We have just hung all new quilts at the shop!!! So many cute things and lots of kits to go with it all. 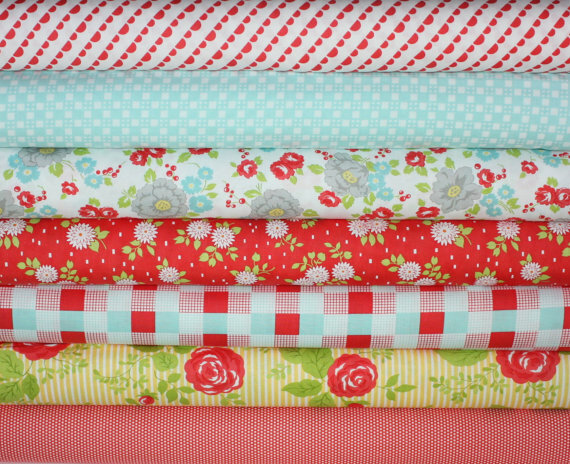 We have several new lines of fabric in and have a new class schedule that will come out next week. Lots of exciting stuff!!! 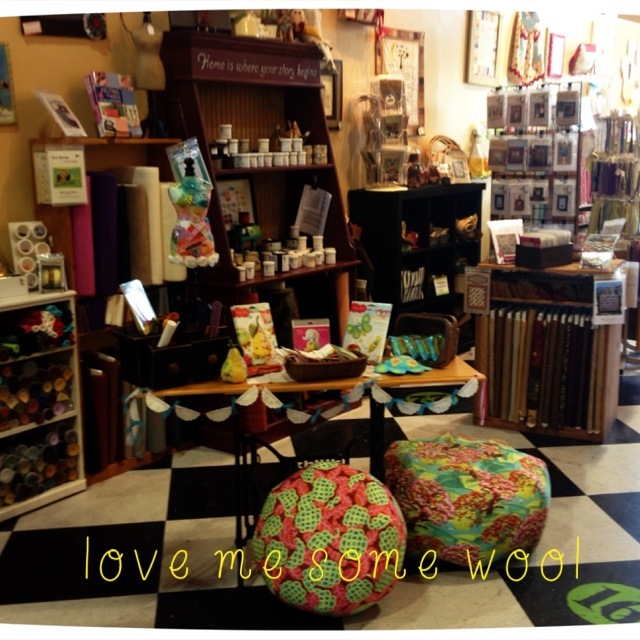 Here are a few shots of some of the displays we have up and I will add the rest soon!! We about to announce our Fall Retreat soon!!! 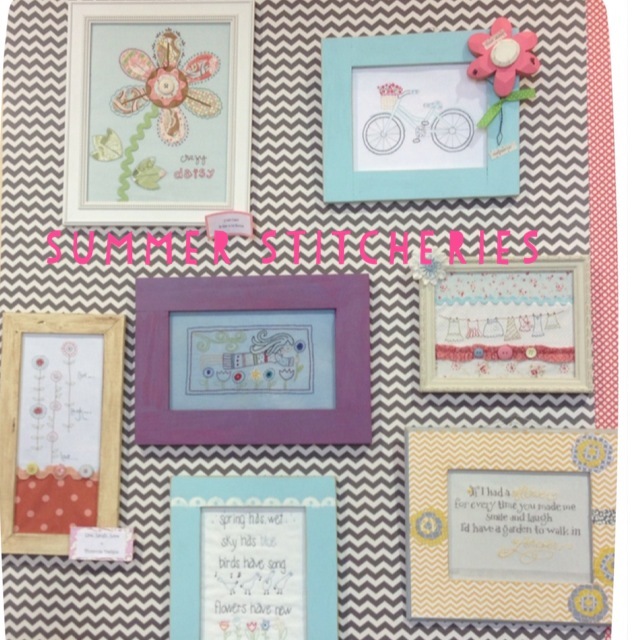 Summer Buzz Shop Hop starts tomorrow Tuesday June 11th through Saturday June 15th. 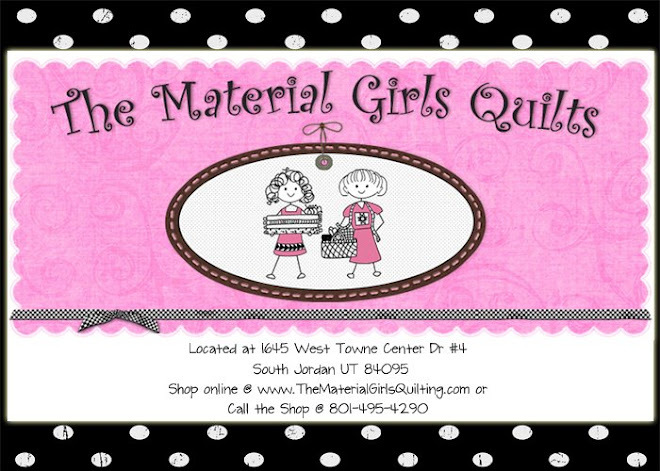 Join 18 shops along the Wasatch Front for the party of the Season!!! Collect a free pattern at each shop, enter to win some awesome prizes and have the time of your life! 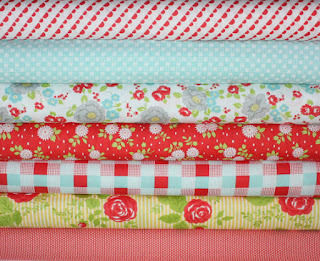 We have brought in loads of new fabric lines, and I mean loads!!! We have all new displays up and are ready to PARRTTTAYYY!!! We are so excited!!! 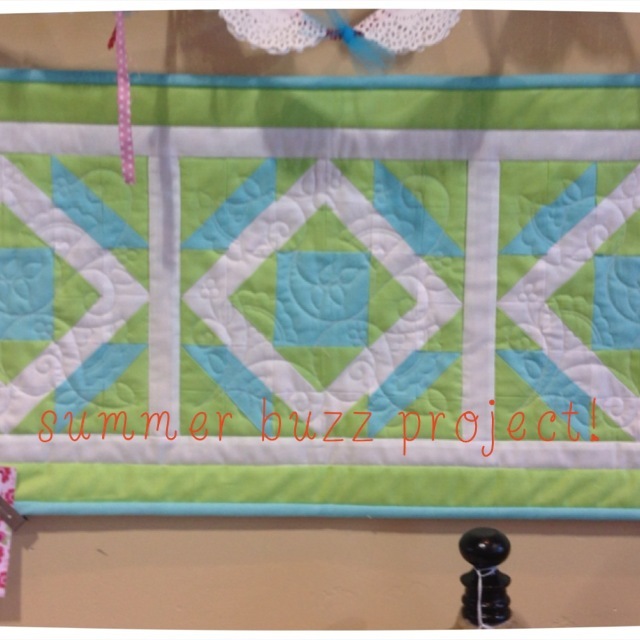 The yardage for "Happy go Lucky" by Bonnie and Camille is here!!! We have all of Cotton Way and Thimble Blossoms new patterns made from this line in stock and ready for you to create. 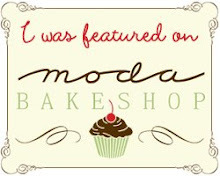 Come in and get yours today!!! Time is fast approaching for the party of the Summer!! 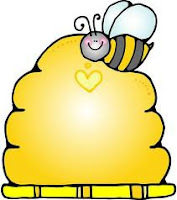 That's right the BEEHIVE SUMMER BUZZ SHOP HOP! Mark your calendars for Tuesday June 11through Saturday June 15th. A map is available on the Beehive Shop Hop Blog Each shop will have games, prizes and a free 9" block with kits available at each shop for their project. 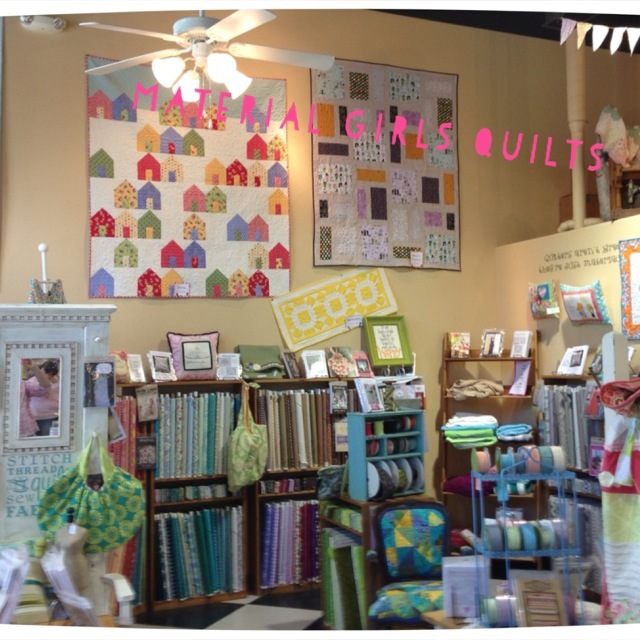 At Material Girls we will have all new quilts up and loads of kits available, big sales, and lots of fun games. 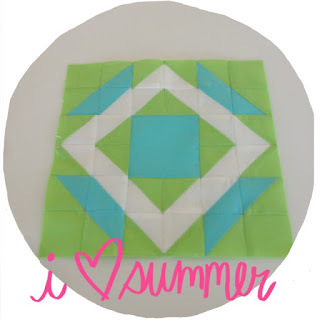 Here is a sneak peek at our block!! We have designed a cute project to compliment this too! !